With thanks to James MØBOV & Peter M3PHP my Hustler 6-BTV is now vertical as it should be, and not horizontal as it has been recently. James helped with assembing the antenna earlier in the year, but due to a few problems was not put up then. When the antenna cable was connected, we fired up the Icom IC-737 and 10m was bustling with activity. Within a short space of time we had worked Germany, Switzerland, Scotland and Italy all on 28MHz SSB. 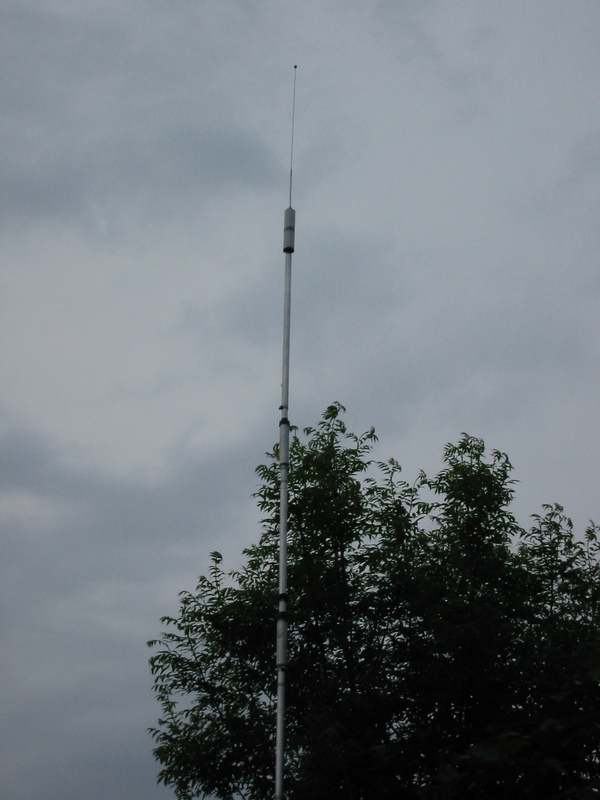 On Sunday and Monday the antenna also survived terrible weather that had brought down trees, and caused other problems on railways, etc. Also in regards to 2m & 70cms, Peter and myself sorted the Ecoflex 15 cable so that I no longer needed the 1m patch lead to reach the radio. Someone has already mentioned I am getting out to them a lot better than normal. Tonight after local net had finished I went up to 432MHz to work a few station in the 432MHz UKAC contests. Operated for about 40 minutes and worked 6 stations. Not mega numbers, but I gave a few points away and as I only ran 20w and that was into a vertical I am not upset with results. Was more to give me something to do than watch TV all evening. Buy 70cm Beam & Rotator. Install in Loft with 2m ZL Beam.